What Does Mark 3:35 Mean? The crowds thronged the Lord Jesus, for they were astonished by the many mighty miracles and great healings that He was performing. 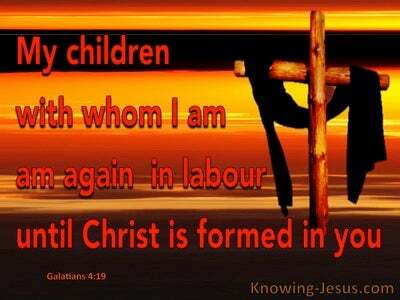 Even the unclean spirits recognised Who Jesus was and declared: You are the Son of God. But the Scribes, the Pharisees, the Sadducees and the Herodians hated the Lord Jesus, for He was undermining their authoritarian monopolies and hypocritical practices - for Jesus spoke as one having sovereign authority - but it was a different sort of authority than that which was seen in their religious leaders. Despite John's testimony that Jesus was the One Who was sent from above.. and in spite of Christ's Own prolonged announcement of His Messianic credentials and heavenly authority, the Lord Jesus was accused by the Jewish leaders of His day.. of casting out demons by the satanic power of Beelzebub. This shocking accusation was identified by Christ Himself as a terrible sin against the Holy Spirit. For the Spirit is the One Who convicts men's hearts of sin, righteousness and judgement. It is the ministry of the Holy Spirit which guides us into all truth and teaches us all things. 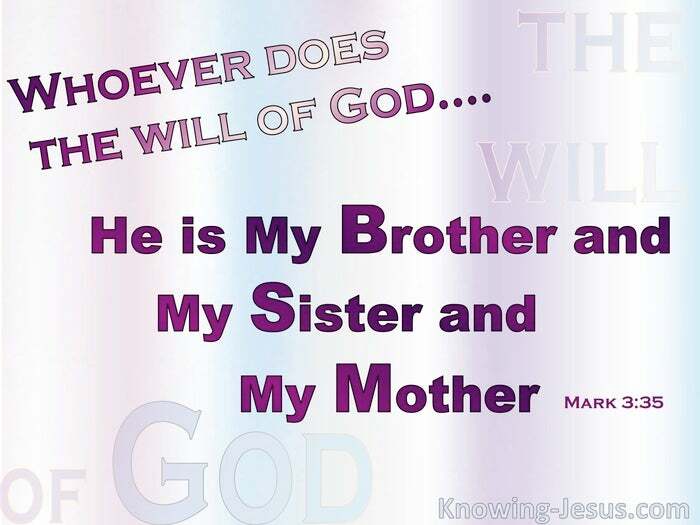 It is the Spirit of God Who witnesses to our spirit and Who teaches and trains us to do the good and eschew the evil - and it is by the work of the Holy Spirit that we are born from above into the family of God.. and made one with Jesus Christ - our heavenly Lord and earthly brother. To blaspheme the Holy Spirit in this way is to reject the one and only means of salvation, for He is the One Whose witness points to Christ Jesus as Saviour - . It was from this point in His ministry that Christ started to move at speed toward the cross. 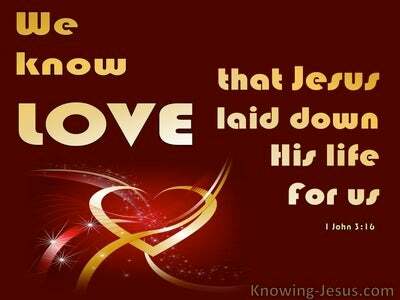 This was the point in His life that Jesus began to speak in parables.. for He knew what was in men's hearts, and He knew that He has now been rejected by the religious authorities and would soon become the sacrificial Lamb, Who would take away the sin of the world. How shocking that even His own family did not understand Who Jesus was and Why He was here. How sad that they too rejected Him in this manner. But Christ Jesus had been sent by His Father in heaven to carry out God's holy will and to fulfil the Father's precious plan of redemption. 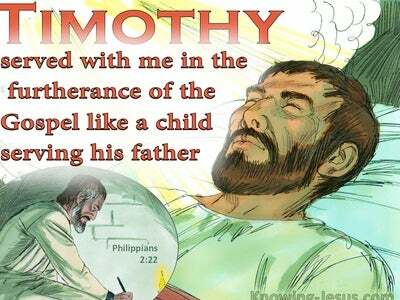 Christ's earthly ministry to His own people - the lost sheep of the house of Israel, was almost over. 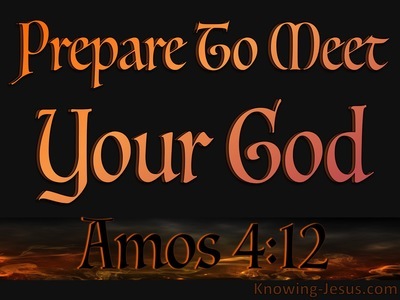 It was at this pivotal point in His earthly ministry we see Him starting to prepare for an even greater pivotal point.. in the history of the world. As the eternal Son of God He would give His life as the perfect Son of Man for the sin of the world - so that all who do the will of God, by believing in Him.. would become members of His heavenly family - All who believe in Him would be called His mother, His sisters and His brothers. 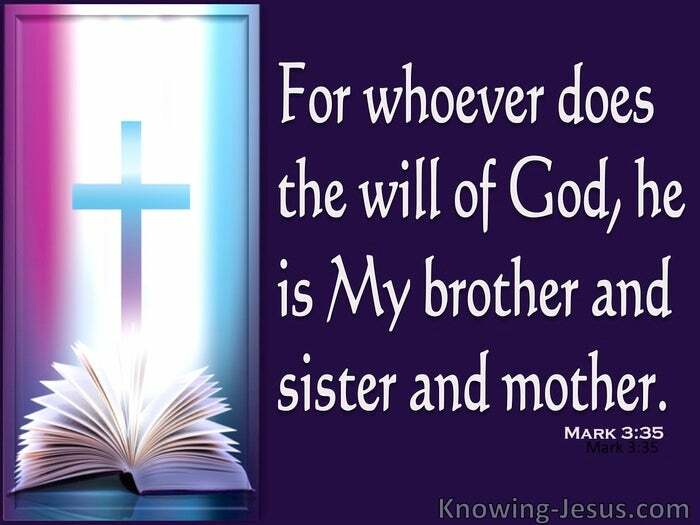 Christ told us that whoever does the will of GOD is My brother, My sister - My mother. But what is the will of God? What is the will of our heavenly Father? Well, it is God's will that all people are saved and come to a knowledge of the truth. It is God's will that in everything we give thanks and glory to the God of our salvation, through Christ the Lord. It is God's will that we come to a knowledge of the truth and that we believe in Him.. and Jesus Christ, Whom He had sent - BY FATIH - and it is God's will that having trusted in Christ for salvation that we present our bodies as a living sacrifice, holy and acceptable to the Lord - which is our spiritual worship.